In his exclusive essay for Cocoa Runners, ‘The Critique of Pure Cacao’ Julian Baggini gives his thoughts on the importance and joys of craft chocolate. The short piece is a sort of epilogue to his critically acclaimed book ‘The Virtues of the Table’, which is also included with this collection. The book takes a philosophical but fun look at our relationship with food – from farming to eating – and is a must-read for anyone who is serious about their love of food. To accompany your journey through food philosophy, Julian has picked five bars from our chocolate library. Bars from Friis Holm, Omnom, Menakao, TCHO and Marou. 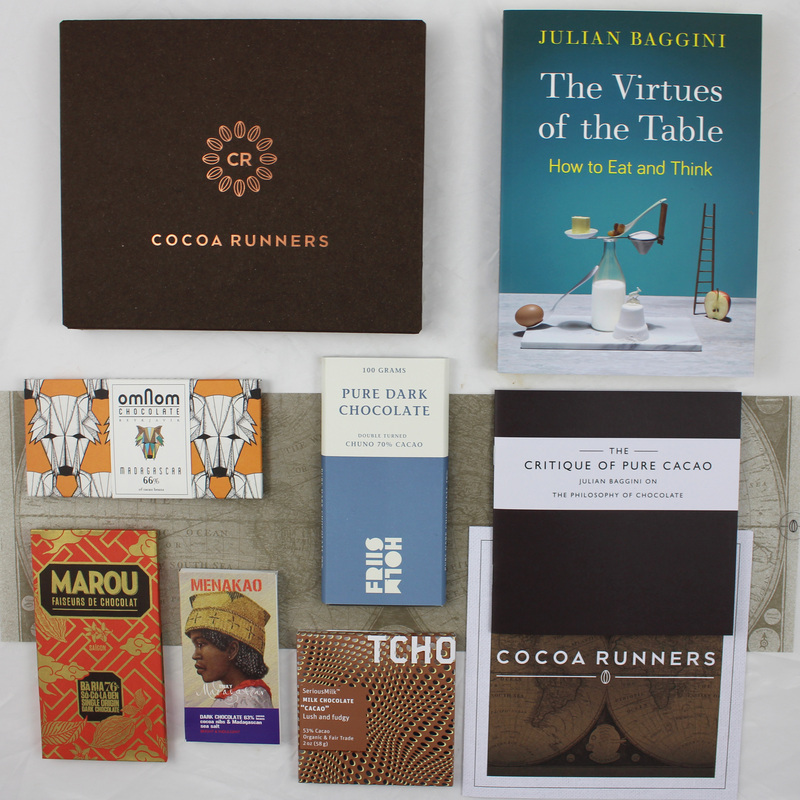 A paperback copy of ‘The Virtues of the Table’ by Julian Baggini and his Cocoa Runners exclusive essay ‘The Critique of Pure Cacao’.